Need images to showcase our city in your event collateral? 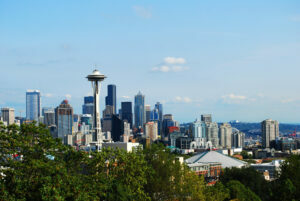 From invites to welcome packets, you can easily present the charm of Seattle using photos and videos on loan from Visit Seattle. To obtain access to images, please fill out the photo request form below. 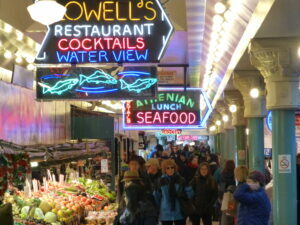 Visit Seattle also can provide meeting planners access to additional video footage for 30 days, at no cost. This B-roll footage is only available after conferring with a Convention Services representative and signing an agreement form. Contact us to learn more about available B-roll footage for loan. These images of the Space Needle, Monorail, Seattle skyline, boats and ferries will help set the mood for your meeting in our fabled city set along the shores of Puget Sound. The local allure of Pike Place Market, Pioneer Square and the waterfront will help your event collateral show delegates the cultural and natural vitality they can expect when they arrive in Seattle. 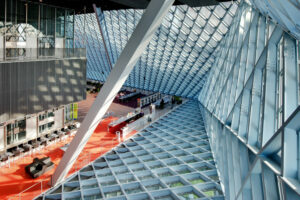 Show your association and meeting delegates some of Seattle’s top attractions with images of Seattle Art Museum, MoPOP’s Sky Church, The Museum of Flight and the Seattle Central Library. 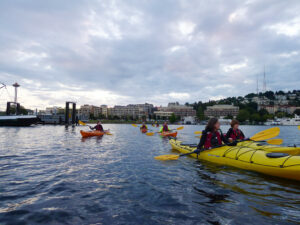 From sailing to snowshoeing, Seattleites love to get outdoors and explore our region. Share some of the beautiful views and energizing activities of our region with your group by including images in your meeting collateral. 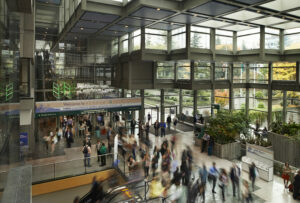 The Washington State Convention Center will be home to your delegates for much of their stay in Seattle. Paint an attractive picture of what to expect with these great photographs. Contact us and we'll connect you with some amazing local talent that will perfectly capture your event.